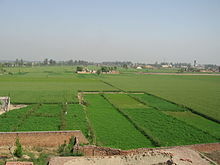 The Punjab region was home to the Indus Valley Civilization until 1900 BCE. The Punjab was invaded by Alexander the Great in 330 BCE and was captured by Chandragupta Maurya under Chanakya. 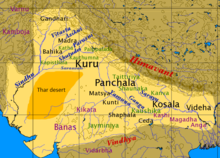 The Punjab was home to the Gupta Empire, the empire of the Alchon Huns, the empire of Harsha, and the Mongol Empire. Circa 1000, the Punjab was invaded by Muslims and was part of the Delhi Sultanate and Mughal Empire. 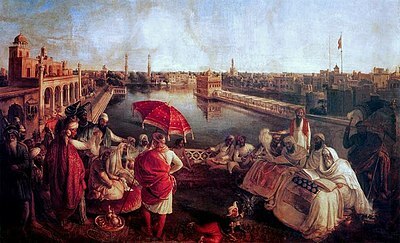 Sikhism originated in Punjab and resulted in the formation of the Sikh Confederacy after the fall of the Mughal Empire. The confederacy was united into the Sikh Empire by Maharaja Ranjit Singh. 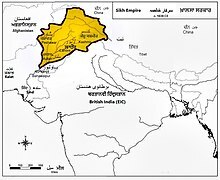 The entire Punjab region was annexed by the British East India Company from the Sikh Empire in 1849. 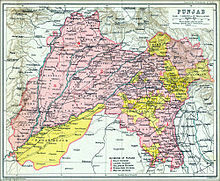 In 1947, the Punjab Province of British India was divided along religious lines into West Punjab and East Punjab. The western part was assimilated into new country of Pakistan while the east stayed in India. The Indian Punjab as well as PEPSU was divided into three parts on the basis of language in 1966. 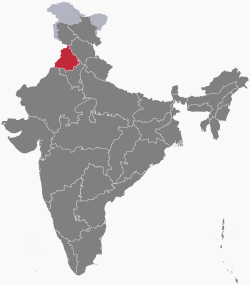 Haryanvi-speaking areas (a dialect of Hindi) were carved out as Haryana, while the hilly regions and Pahari-speaking areas formed Himachal Pradesh, alongside the current state of Punjab. 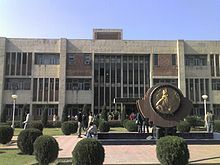 Punjab’s government has three branches – executive, judiciary and legislative. Punjab follows the parliamentary system of government with the Chief Minister as the head of the state. All the cities and towns of Punjab are connected by four-lane national highways. The Grand Trunk Road, also known as “NH1”, connects Kolkata to Peshawar, passing through Jalandhar and Amritsar. Another major national highway connects Punjab to Jammu, passing through Hoshiarpur and Pathankot. National highways passing through the state are ranked the best in the country[by whom?] with widespread road networks that serve isolated towns as well as the border region. Ludhiana and Amritsar are among several Indian cities that have the highest accident rates in India. Punjab is home to 2.30% of India’s population; with a density of 551 persons per km2. According to the provisional results of the 2011 national census, Punjab has a population of 27,704,236, making it the 16th most populated state in India. Of which male and female are 14,639,465 and 13,103,873 respectively. 32% of Punjab’s population consists of disenfranchised Dalits. In the state, the rate of population growth is 13.89 percent (2011), lower than national average. Out of total population, 37.48% people live in urban regions. The total figure of population living in urban areas is 10,399,146 of which 5,545,989 are males and while remaining 4,853,157 are females. The urban population in the last 10 years has increased by 37.48 percent. Punjabi is the sole official language of Punjab and is spoken by the majority of the population (90%). Hindi is spoken by 9.33% of the population. The 2011 census found OBC and Scheduled Castes to account for 22% and 31% of the population respectively. The Forward caste on the other hand constitutes 41% of the total population of Punjab. 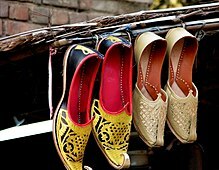 There are a number of folk tales that are popular in Punjab. These are the folk tales of Mirza Sahiban, Heer Ranjha, Sohni Mahiwal, Sassi Punnun, Jagga Jatt, Dulla Bhatti, Puran Bhagat, Jeona Maud etc. The mystic folk songs and religious songs include the Shalooks of Sikh gurus, Baba Farid and others. ^ “Punjab fin_budget_speech_e_2017_18”. punjab.gov.in. Retrieved 15 March 2018. ^ “STATE WISE DATA” (PDF). esopb.gov.in. Economic and Statistical Organization, Government of Punjab. Retrieved 17 February 2017. ^ “State Bird is BAAZ”. Archived from the original on 14 July 2014. ^ “Punjab”. Overseas Indian Facilitation Centre. Archived from the original on 10 October 2011. Retrieved 8 September 2011. ^ A.S. valdiya, “River Sarasvati was a Himalayn-born river”, Current Science, vol 104, no.01, ISSN 0011-3891. ^ “WHKMLA : History of West Punjab”. zum.de. Archived from the original on 16 March 2016. Retrieved 3 February 2017. ^ Canfield, Robert L. (1991). Turko-Persia in Historical Perspective. Cambridge, UK: Cambridge University Press. p. 1 (“Origins”). ISBN 978-0-521-52291-5. ^ Bombay (India: State) (1896). Gazetteer of the Bombay Presidency … Government Central Press. Archived from the original on 11 May 2013. Retrieved 18 January 2012. ^ “MAHARAJAH RANJIT SINGH … – Online Information article about MAHARAJA RANJIT SINGH”. Encyclopaedia.jrank.org. Archived from the original on 10 January 2010. Retrieved 9 August 2009. ^ Ray, Jayanta Kumar (2007). Aspects of India’s International Relations, 1700 to 2000: South Asia and the… ISBN 9788131708347. Archived from the original on 28 January 2016. Retrieved 29 March 2013. ^ Tan, Tai Yong; Kudaisya, Gyanesh (2005) [First published in 2000]. The Aftermath of Partition in South Asia. Routledge. p. 100. ISBN 978-0-415-28908-5. Archived from the original on 28 January 2016. In March 1930 the All-India Muslim League passed its famous Lahore Resolution, demanding the creation of a separate state from Muslim majority areas in India … [it] sparked off an enormous furore amongst the Sikhs in the Punjab … the professed intention of the Muslim League to impose a Muslim state on the Punjab (a Muslim majority province) was anathema to the Sikhs … Sikhs launched a virulent campaign against the Lahore Resolution. ^ “Ethnic cleansing and genocidal massacres 65 years ago by Ishtiaq Ahmed”. Archived from the original on 12 October 2016. Retrieved 3 January 2017. ^ “Border Area Development Programmes in Punjab” (PDF). Department of Planning Punjab. Archived (PDF) from the original on 10 September 2016. Retrieved 22 March 2017. ^ a b “State Profile – About Punjab”. Punjab Government. Archived from the original on 6 November 2011. Retrieved 18 July 2010. ^ “Status of Environment & Related Issues”. ENVIS Centre : Punjab. Retrieved 22 March 2017. ^ Pragati Infosoft Pvt. 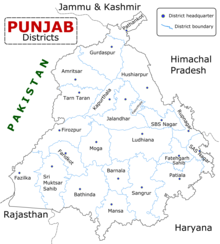 Ltd. “Punjab Geography, Geography of Punjab, Punjab Location, Punjab Climate”. Punjabonline.in. Archived from the original on 18 October 2007. Retrieved 18 July 2010. ^ a b c d e f g h i j k l m “Weather & Climate Of Punjab”. Archived from the original on 5 January 2016. Retrieved 27 October 2015. ^ “Flora And Fauna Of Punjab”. Archived from the original on 10 December 2015. Retrieved 27 October 2015. ^ a b “Animals and Birds in Punjab”. Archived from the original on 10 December 2015. Retrieved 27 October 2015. ^ “Panjab Tourism, General Information”. Archived from the original on 26 November 2010. Retrieved 9 November 2010. ^ “Jurisdiction and Seats of Indian High Courts”. Eastern Book Company. Archived from the original on 10 May 2008. Retrieved 12 May 2008. ^ “Fields on fire: making farming more sustainable in India – in pictures”. The Guardian. London. 7 December 2012. Archived from the original on 2 May 2014. Retrieved 9 December 2012. ^ J. Carl Ganter (4 June 2010). “Q&A: Upmanu Lall on India’s Nexus of Energy, Food and Water”. Circle of Blue. Archived from the original on 8 June 2010. Retrieved 4 June 2010. ^ Upmanu Lall (28 July 2009). “Punjab: A tale of prosperity and decline”. Columbia Water Center. Archived from the original on 8 October 2010. Retrieved 11 September 2009. ^ “India fares badly on global hunger index”. The Times of India. 15 October 2008. Archived from the original on 11 May 2011. ^ Dipak K Dash (3 September 2015). “Road crash severity highest in Ludhiana, 3rd in Amritsar”. The Times of India. Archived from the original on 6 September 2015. Retrieved 6 September 2015. ^ “BRTS project planned for Amritsar and Ludhiana was the world’s most preferred transport system”. Archived from the original on 31 October 2016. Retrieved 9 December 2016. ^ “Demographic Trends”. Census of India. www.punenvis.nic.in. Archived from the original on 10 April 2009. Retrieved 4 June 2008. ^ “Census Population” (PDF). Census of India. Ministry of Finance India. Archived (PDF) from the original on 26 August 2011. Retrieved 18 December 2008. ^ “Dalit icon Bant Singh’s shift to AAP in Punjab symbolises the Left’s electoral irrelevance”. Scroll India. 26 January 2017. Retrieved 26 March 2019. ^ a b “Population by religion community – 2011”. The Registrar General & Census Commissioner, India. Archived from the original on 23 September 2015. ^ “Nil admission in MCA at PTU”. Tribune India. 11 August 2015. Archived from the original on 13 August 2015. Retrieved 11 August 2015. ^ “BNYS ONLINE”. www.bnys.online. Retrieved 10 January 2018. ^ “Herci”. exam.herci.in. Archived from the original on 7 January 2018. Retrieved 10 January 2018. ^ “Abp sanjha”. Archived from the original on 14 July 2014. ^ “About Us”. Punjabi News. Archived from the original on 25 December 2015. Retrieved 30 December 2015. ^ “FM Gold Ludhiana”. Archived from the original on 21 January 2017. Retrieved 9 December 2016. ^ “Digital touch for Punjab heritage”. Archived from the original on 28 January 2016. ^ “Panjab Digital Library Canada Announces 2014–2015 Fundraising Campaign”. Archived from the original on 22 March 2017. Retrieved 9 December 2016. ^ “Harvest Festival of Punjab, Harvest Festival Lohri, Cultural Festival of India, Harvest Festival in India”. Lohrifestival.org. Archived from the original on 9 July 2010. Retrieved 18 July 2010. ^ “Sikh festival celebrates women and girls”. Archived from the original on 14 July 2017. Retrieved 9 December 2016. ^ “Celebrate mothers again”. Archived from the original on 28 January 2016. ^ “Girl power on display at Teeyan da Mela festival”. Retrieved 9 December 2016. ^ Mir, Farina. “Representations of Piety and Community in Late-nineteenth-century Punjabi Qisse”. Columbia University. Archived from the original on 12 August 2007. Retrieved 4 July 2008. ^ “was-it-a-sikh-wedding”. Archived from the original on 24 February 2017. Retrieved 9 December 2016. ^ “Sikh groom thrown from horse during wedding procession in Surrey”. Archived from the original on 26 December 2016. Retrieved 9 December 2016. 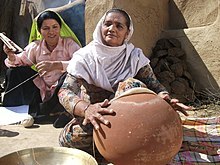 ^ “Punjabi folk mingles with new-age music”. Archived from the original on 28 January 2016. ^ “Revisiting Punjabi classics”. Archived from the original on 28 July 2015. ^ “Tappa — gift to Punjab’s classical music”. 10 July 2015. Archived from the original on 4 March 2016. Retrieved 3 January 2017. ^ “The Globalisation of Bhangra Music”. Archived from the original on 10 September 2015. ^ “The Bhangra Breakdown – June 2014 Edition”. June 2014. Archived from the original on 28 January 2016. Retrieved 3 January 2017. ^ “Strange as it may sound, all art forms need political support to grow. The communal upheaval that engulfed the Punjab region in 1947 forced migration of the well-established Muslim artistes from this region. This resulted in i mpoverishment of the rich traditions of classical music”. Archived from the original on 11 July 2015. ^ “A Classical Rendition you Cannot Miss”. Archived from the original on 5 May 2016. Retrieved 9 December 2016. ^ ““Pollywood Directory”. The directory has the contact and other details of those related to Punjabi film industry. It is an initiative to organise Punjabi Cinema”. Archived from the original on 13 November 2014. ^ “Punjabi film industry has come a long way and in recent times there has been a boom in the region`s film industry”. Archived from the original on 31 October 2015. ^ “chandigarh-woman-architect-annu-bains-produces-punjabi-movie-qissa-panjab”. Retrieved 3 January 2017. ^ “Akshay’s journey begun with the Punjabi film Bhaji In Problem”. Archived from the original on 28 January 2016. 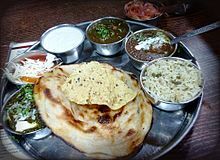 ^ “Inside humble trappings, vivid expressions of Punjabi cuisine”. Archived from the original on 7 September 2015. ^ “10 Best Punjabi Recipes”. Archived from the original on 24 June 2017. ^ “Eating Out Park Plaza brings you the hearty Punjabi flavours at its ongoing food festival”. Archived from the original on 28 January 2016. ^ “Bandi Chhor Divas Reflection: A Lesson In Selflessness”. Archived from the original on 28 January 2016. ^ “Sikhs celebrate Diwali and Bandi Chhor Divas at Ilford gurdwara”. Archived from the original on 29 October 2015. ^ “Maghi Mela: Four political parties erect stages to hold conferences”. Archived from the original on 21 July 2015. ^ “Hola Mohalla 2015: Facts, History, Rituals Surrounding The Sikh Festival”. Archived from the original on 24 August 2015. ^ “Thousands converge in Punjab for Hola Mohalla“. Archived from the original on 31 July 2015. ^ “Circle Style Kabaddi in a new avatar – World-wide Kabaddi League”. Archived from the original on 28 January 2016. ^ “Kabaddi player alleges Punjab Police pushed him into drugs”. Archived from the original on 19 August 2015. ^ “Punjab women enter semifinals of National Hockey Championship”. Archived from the original on 2 May 2015. ^ “World Kabaddi League announces team franchise names and logos”. Archived from the original on 29 July 2014. ^ “the World Kabaddi League (WKL) was launched with the promoters — Punjab Deputy Chief Minister Sukhbir Singh Badal is the president of the league while former India hockey captain Pargat Singh is the league commissioner — unveiling the eight teams, their owners and marquee players”. Archived from the original on 28 January 2016. 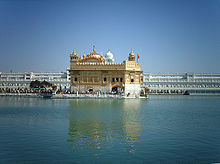 ^ “World Heritage Day: 8 places to visit in Punjab”. Archived from the original on 17 July 2015. ^ “सुदर्शन चक्र ने किए थे देवी सती के 51 टुकड़े, यहां भी कटकर गिरा शरीर का भाग”. 12 October 2015. Archived from the original on 14 September 2016. Retrieved 3 August 2016. ^ “Pictures displayed at media centre attract visitors to ‘Kila Raipur’ games”. 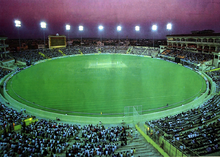 ^ “Kila Raipur sports festival begins today”. Archived from the original on 20 October 2015. ^ “Kila Raipur sports festival concludes”. Archived from the original on 28 January 2016.